With so many books and so little time, NPR’s annual collection of the year’s Best Reads might help you find your next favorite read. Were you a fan of “The Great American Read,” the PBS series that asked participants to vote on America’s best-loved novel? (No spoilers here. You have to see which titles won the Great American Read on KERA Learn.) And are you looking for a new favorite novel? Then heads up — NPR has come out with their annual Book Concierge. The concierge is a guide, a compilation of new book recommendations from NPR reporters and producers and trusted critics. In the guide app, you can sift through over 300 new titles and sort through them by filters. There’s even a convenient link to check the availability of a title at your local library. As you can imagine, the book guide created a lively discussion here in our office. So find your next read, suggestion for book club, or your next dinner-conversation starter with NPR’s 2018 Great Reads Guide. 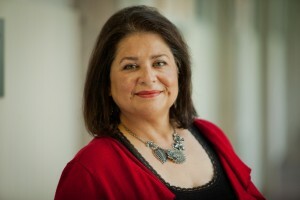 Gila Espinoza is an Associate Producer for Content at KERA and Coordinator for the Art&Seek calendar. Gila has worked on many of KERA’s local and national, award-winning productions, and for Art&Seek, she works with arts organizations and assists them in their calendar submissions. View more about Gila Espinoza.